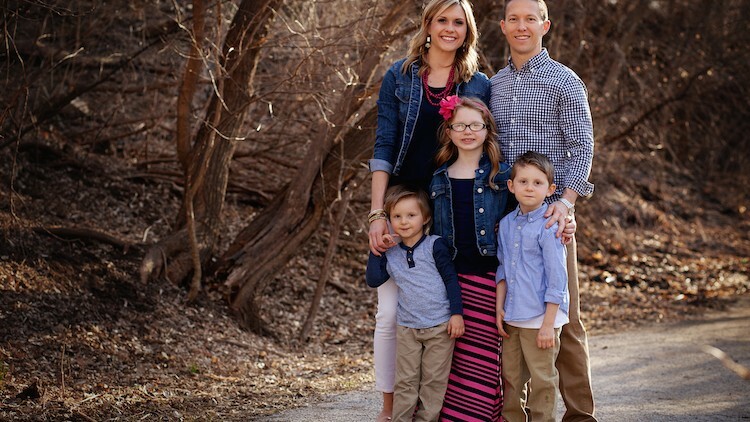 We are Ben and Kristen Burdette, thank you for visiting our Adoption Bridge page! Our family has been in the adoption process for one year now, and we are currently awaiting a referral for a child from Uganda! Adoption has been on our hearts for years. It was one of those things we talked about before we had our three children, and even before we got married. We know that we have been called to adopt; we have room in our hearts and our home to bring another child into our family through adoption. Throughout this process, God has confirmed this calling and our hearts ache for the day we will meet our next child. Pray for our child in Uganda. Pray for their health, their heart and that they will attach and adjust well as they become a part of our family. Pray they feel known and loved and wanted. Pray for our children at home, as they will be facing lots of change. Pray that their hearts will be full and open to love their new sibling in a radical way. Pray for the caretakers at the orphanage that are taking care of our baby while we can’t yet. Pray for us as we travel to and from Uganda. Pray for our court dates, paperwork and health while we are there. We have been able to pay all costs thus far from what we have saved for this adoption. In addition to our savings, we have been able to make cuts in our personal budget and the Lord has been so faithful to multiply. However, we have moved up the referral list much more quickly than anticipated and we are asking for support to help us cover some of our final fees. We have been truly humbled by the generosity of family and friends, and thank you for your consideration in partnering financially with us. We are so very blessed, and we know that we couldn't do this without the support, prayers and encouraging words from all our family and friends. Thank you for being apart of our story! We received our court date and we'll be traveling at the end of the month to meet Baby I!! We've been matched and are waiting for a court date so we can go meet our SON! !